Please Stop Collaborating with Me! Collaboration is all the rage in the business world these days — you can’t go more than a few minutes in any business conversation, journal, site, blog or anywhere else without the word coming up. And there’s no doubt that improved collaboration (often enabled by technology) has led to leaps and bounds in productivity. I’m just old enough to remember the days when everyone in the company had an office. I mean a room with a door that could fully close. While very few office doors were closed much of the time (there was a lot of debate about open-door policies and the like), you could close the door when you needed to concentrate. Or have an important phone call. Or — in the case of certain nameless colleagues — take a nap. In fact, in my very first job after college, I had just such an office. 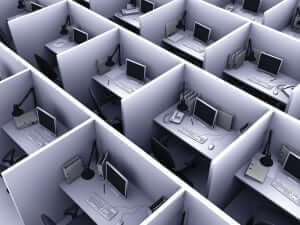 Then the age of the cubicle arrived. In the 1980s, companies such as Intel were admired for their devotion to the cubicle culture — meaning the collaboration that came with the broad adoption of cubicles. At Intel everyone, even the CEO, had a cubicle. There was conversation. We talked with each another far more than when I had an office. It became useful, productive, even fun. Prairie-dogging became a game. Then we discovered the dark side. 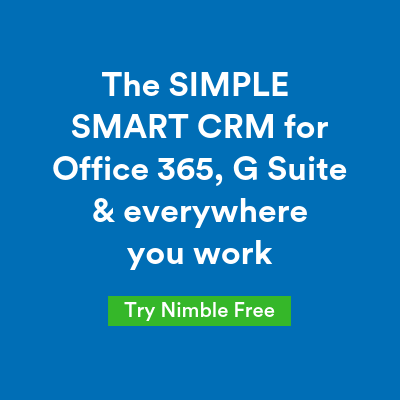 We couldn’t have the challenging conversations with customers, partners or even our bosses without everyone knowing about it. There were no more moments of concentration; there was collaboration, but there was also constant interruption. Recent studies have shown that constant interruption and multi-tasking are far less productive than concentration and single-tasking. But are we ready to go back to closed-door offices? For most companies, no. Many companies are going even further and eliminating cubicles in favor of open-plan offices — just a collection of desks in a room (think the secretarial pool from any random 1950s movie). Tele-Smart consultant Josiane Feigon recently published an article about an un-named client who gave inside salespeople closed-door offices. From her article, it’s easy to tell she did not agree with this move. She seems to feel that having salespeople in closed-door offices defeated the collaboration that she thinks is at the core of their job, and, as is common in other companies, they should have kept the salespeople in cubicles or an open-plan office. Inside sales — at least the core piece of the job, which is making calls to prospects — is not collaborative at all. The employee’s (inside sales rep’s) focus is entirely outside the company, and that employee needs the ability to focus their attention outside (at the prospect) rather than dealing with the inside distractions of noise interruptions and over-hearing other outbound calls. My friend and inside-sales expert Anneke Seley, CEO of RealityWorks Group, points out that there is a critical component of the inside sales rep’s job that is collaborative: training and preparation. These parts of the job benefit from working with managers and colleagues, collaborating on strategy and working to improve skills. So these parts of the job should be done in an environment that promotes collaboration and interactions (intentional and accidental), and this can be done in a group setting such as a conference room or open area. But the outbound calling should not be done in “public.” The highest productivity from that part of the job is achieved when the environment isolates the inside sales rep. In our zeal to achieve ever-increasing collaboration, maybe we’ve forgotten why we want collaboration in the first place: to increase productivity and effectiveness. Looking at collaboration through the lens of where the focus of the work is pointed (internal, external, solo, team, etc.) can suggest a new way to evaluate whether a collaborative work environment is going to help or harm our productivity. And then maybe we can find ways to collaborate when it helps and leave each other alone when it doesn’t. And yes, I said “collaboration” (or “collaborative”) 16 times in this post. We might just be overdoing it. 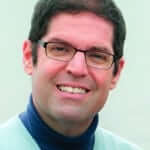 Jeff Weinberger is the founder of DS3 Consulting. He has spent his career helping organizations create, adapt to, and capitalize on disruption in their markets, technologies and businesses.